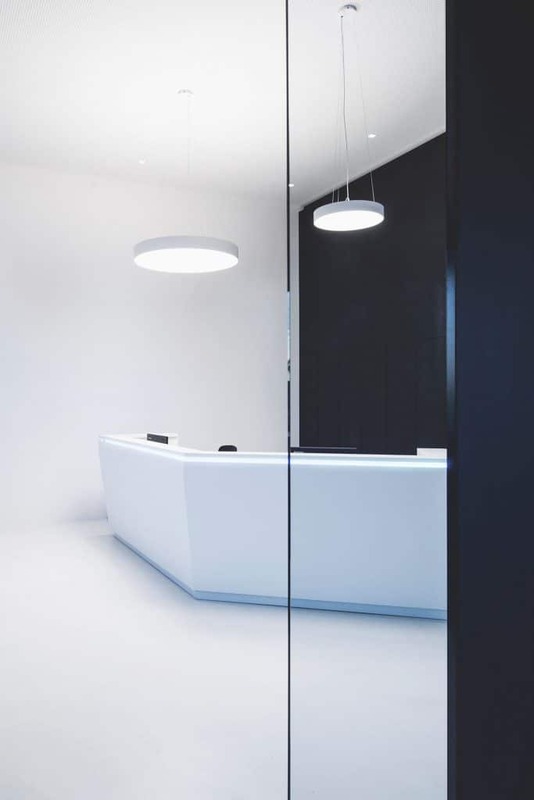 The aim of the design was to create a contemporary and dynamic building that meets the company's modern requirements. 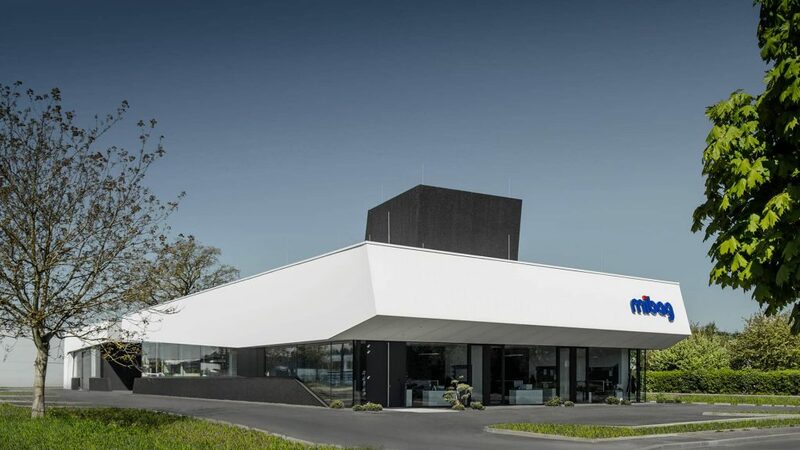 The MIBAG company building – specialised in fire and water damage restoration – was built in 2016 in the Kleinmünchen district of Linz in the immediate vicinity of the Linz city motorway. In addition to several Austrian locations, the company also operates branch offices in Germany, the Czech Republic and Slovakia. The aim of the design was to create a contemporary and dynamic building that meets the company’s modern requirements. 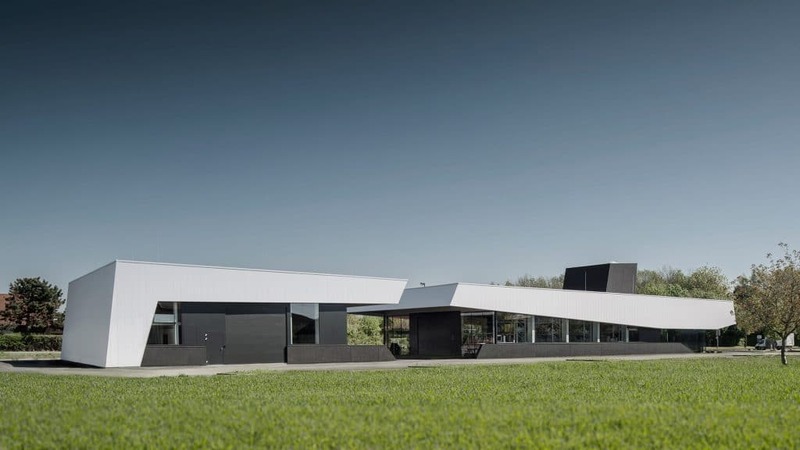 Two components form an asymmetrical ensemble with a striking outer skin, as well as a roof structure used for building services, which protrudes from the building like an oversized chimney. 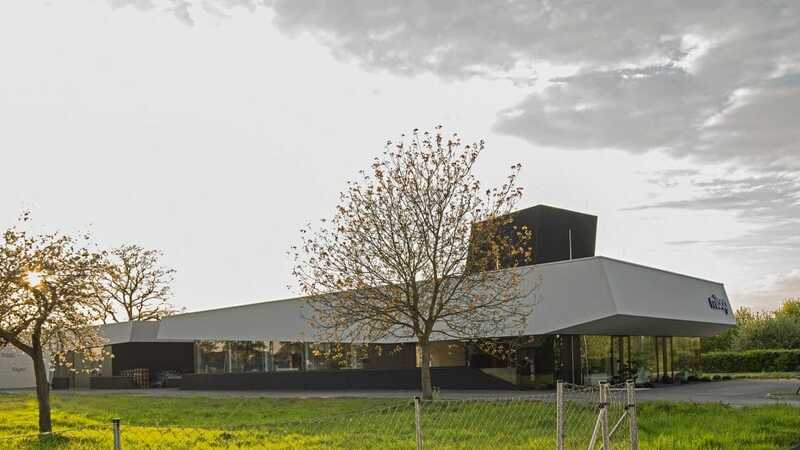 On the upper floor, the white, sloped DOMICO Planum façade visually connects the two buildings – the different inclinations widen and narrow the views of the glass façade over an anthracite-coloured washed-out concrete base. The large structure at the front houses the offices as well as a hall and storage rooms. In the smaller, rear building there is another rentable hall with office and storage space. 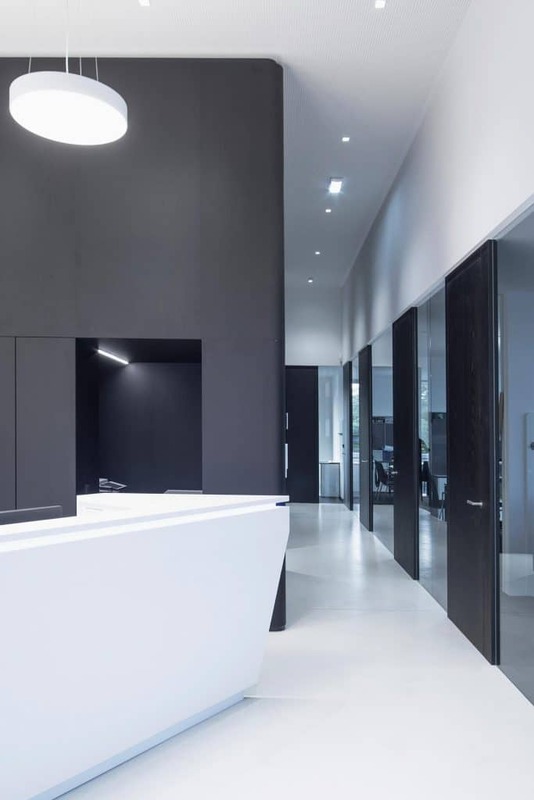 The interior, rich in contrast in black and white, creates a bright, inviting spatial experience and in its colour concept forms a counterpart to the exterior façade. The office rooms, common rooms and meeting rooms are arranged on the façade sides of the building and are therefore sufficiently supplied with natural light. Inside the building are the sanitary and cloakroom rooms, the kitchenette and the staircase core. Due to its visually appealing façade design and contrasting colours, the building has a distinctive individuality and a high recognition value.